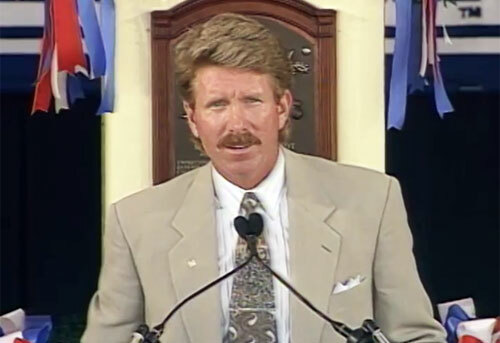 Mike Schmidt is a Hall of Fame third baseman, widely considered as one of the greatest at the position in the history of Major League Baseball. He played his entire career for the Philadelphia Phillies. Trailing the Pittsburgh Pirates 6-5 at Three Rivers Stadium on April 18, 1987, Schmidt hit his career 500th home run, a three run shot off of Don Robinson to win the game, 8-6. Injuries to Schmidt’s rotator cuff caused him to miss the last month and a half of the 1988 season. He returned healthy for the 1989 season, however, after a poor start, Schmidt suddenly chose to announce his retirement in San Diego, on May 29. Sports Speakers 360 is a booking agent for pro athletes. If you would like to book Mike Schmidt for a speaking engagement, appearance or endorsement, contact a Mike Schmidt booking agent for fees at 1.855.303.5450.